Quickly and easily scan yourself and review scans in our new Me section. 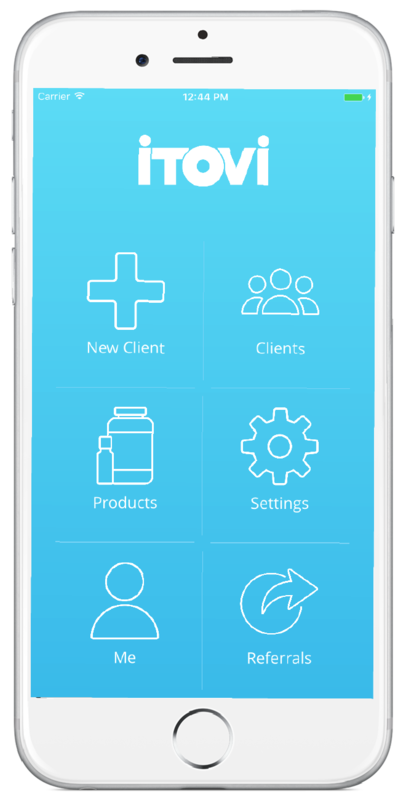 Sort products by purpose with our new Health Triad! Learn more about the oils and products you scan for and love. You can now scan offline, sort clients by groups, and customize scan reports. Easily view your referrals and send your personalized referral link to clients. Earn badges by scanning, referring, and completing tasks in App 2.0! If you don’t have your own iTOVi scanner, get one today!